From Vinyasa to Hot Yoga, with locations from Midtown to Williamsburg, Yoga To The People has it all without emptying your wallet. 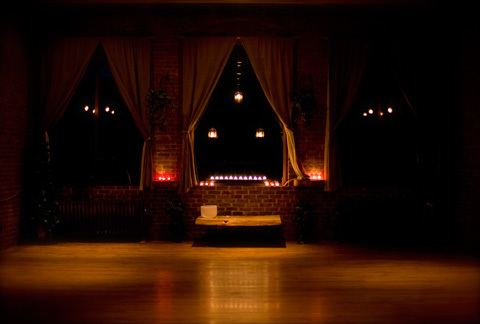 The St. Marks Power Vinyasa Flow location is donation based, while the 38th Street Hot Yoga studio costs a mere $5 per sweat session. Classes get jam packed (with up to 9 mats across each row), so arrive early to snag a prime spot. Dress as you wish in your prettiest Lululemon pants or a baggy worn out sorority recruitment t-shirt from 2004, as there is no dress code. Instructors vary from class to class, but all are trained to use their soothing voices as they guide you through your own yoga flow to get you centered, stretched, and fit. Relaxing music plays throughout class, to put your mind at ease while you concentrate on your breathing, let go of the day’s anxiety and stress, and focus on yourself. No registration is necessary; just arrive about 15 minutes before class is scheduled to guarantee your space. Wow! $5 is so reasonable for a Yoga Class!! Hey Sarah, this is very nice opportunity for new yoga students; they can easily afford this yoga class fess and enjoy yoga styles at ever beautiful location like Midtown.